Disclosure: This post contains affiliate links, which help support the work of this site. More Thanksgiving goodies for you! This one comes from Little Passports, for whom I am a Brand Ambassador. I'm very appreciative of sites and companies that encourage and help parents and teachers to raise global citizens in terms of introducing them to countries and cultures around the world. But I'm especially pleased when I see those that help us to see the diversity within our own country. 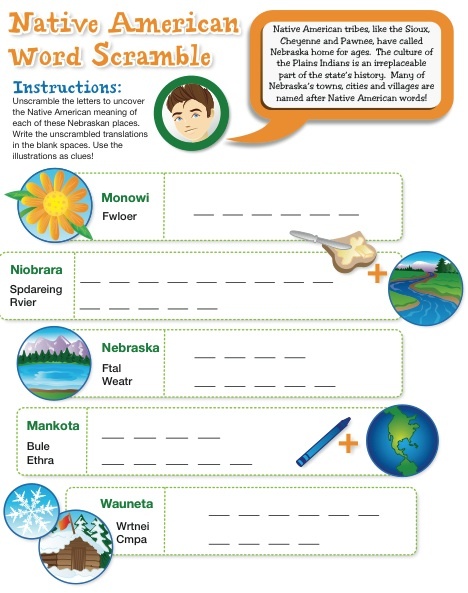 If you haven't heard about Little Passports yet, take a look at this fun and adorable word scramble activity sheet that they are letting me share with you. It is just a sample of the wonderful activities that come in the Little Passports package every month, to educate your little ones about different states and countries all over the world! As an ambassador for Little Passports, I receive a year's subscription to their World Edition package. But because we like them so much, we voluntarily get the USA Edition too, thanks to my mom who has purchased the subscription for her nietos. I think your kids would love the USA Edition, too! Print out this sheet for some fun with your kids and visit their blog for updated content.